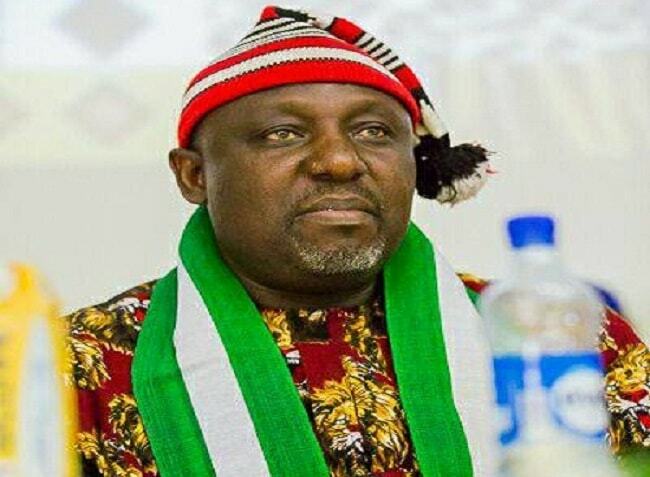 Imo State Governor Rochas Okorocha has said the All Progressives Congress (APC) will win Southeast in 2019. The governor said ensuring President Muhamadu Buhari’s re-election was a priority to be diligently pursued. Okorocha spoke yesterday when he opened the President’s Campaign Council in the Southeast. He said: “APC is the best political party in Nigeria today. The President is doing well. We, therefore, have to go to the villages to tell our brothers and sisters the need to ensure that APC sweeps the polls, starting from that of President Muhammadu Buhari”. The governor, who was represented by his Chief of Staff, Uche Nwosu, boasted that the APC will clinch all elective seats in 2019. He urged members of the Campaign Council to be serious with their duties, saying: “The task of ensuring that President Muhammadu Buhari is re-elected is number one. We will ensure that this Campaign Council produces the next three Senators, 10 House of Representatives members and 27 House of Assembly members. This council will also produce the next governor. Ofcourse, it’s a possibility, only if we have learnt our lessons!